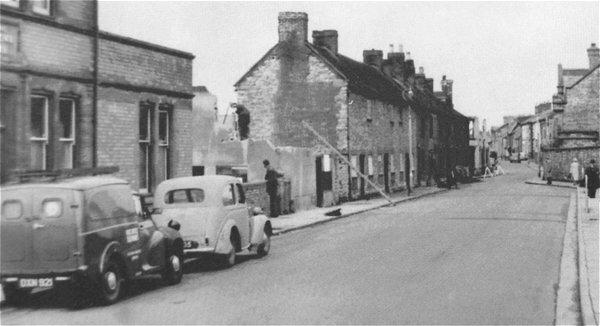 Crown Buildings was a small ‘court’ of housing in Huish, immediately east of the Crown public house after which it was named. The Crown was operating as early as 1835 but the Crown Buildings must be later since they are not shown on Bidder's map of 1843. 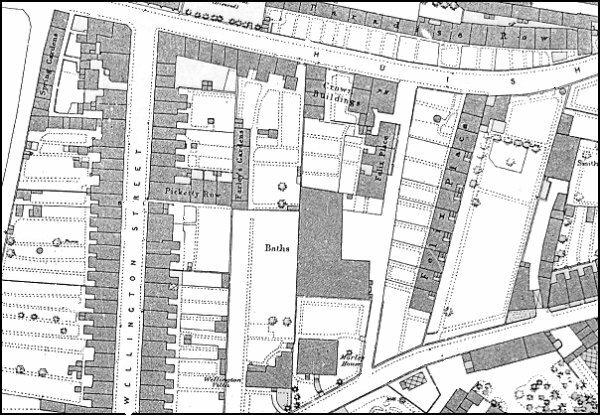 They appear on the 1886 Ordnance Survey, shown below, at top centre. The Crown Buildings were demolished in 1955. 1886 Ordnance Survey showing Crown Buildings off Huish at right of centre. Crown Buildings being demolished in 1955. The Crown is at left.